Nerang Tiles hosts an extensive retail showroom displaying floor tiles and wall tiles, including glass and metal feature tiles from around the world. Showcasing the latest in tile design and interior trends, including all classic and traditional designs, Nerang Tiles has it all. Nerang Tiles is a one stop showroom, providing full and free colour and interior design consultation to assist builders, architects, retail and interior designers tile all areas from floors, walls, bathrooms, kitchens, pools, outdoor areas, entrances, offices to driveways. Production of hand-made glass tiles that is of artistic quality with a touch of variation in their colour, shade, tone and size. Each product has an intrinsic characteristic that is peculiar to them. A customization of all products by using hand cut pattern with any combination of colours from our classic Italian colour palette. Specialised stone repairs to chipped, cracked, damaged stone surfaces. Head office on the Gold Coast with regional offices in Brisbane, Sunshine Coast, Northern NSW, Sydney and Canberra. The Marble Man services the greater region extending from these main centres. Our free quotation for repairs, polishing and sealing can be generated by our office team or technicians - Call 1300 627 626 central number for repair evaluation and assistance to stone. Creating a uniquely beautiful threshold between handmade tiles and the world of contemporary design is what makes us tick. Our mission is to stand out in an era of mass-produced commercial tiles and offer a truly unique and exciting alternative. The challenges of responding to an individual client’s brief and giving them a design that exceeds their expectations and enhances their space is what we do best. We use beautiful handmade and hand painted tiles in all of our designs, produced by a team of creative and talented artisans at our partnering African studio. The handmade nature of these tiles means that each one has its own extraordinary characteristics and no two tiles are the same. Our range of colours, patterns and shapes lend themselves to limitless and completely personalised tile layouts and mosaic designs which can be adapted to suit any setting from an ultra modern kitchen splashback to a subtle bathroom tile detail. With backgrounds in architecture, design and handmade tile production we are perfectly poised to conceptualise, develop and deliver the perfect tile solutions for you project. Our new Gold Coast Studio is a creative hub with an extensive range of handmade tiles as well as other handcrafted products. 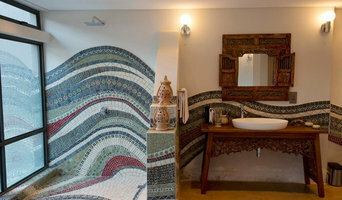 Essence Tile and Stone was born in the Byron Shire Region in 2015, this family owned and operated business came to fruition out of a shared passion for design, creativity and a love of making people happy in their homes and spaces. Having spent 15 years in the Industry, Tiling up and down the East Coast of Australia, we found that there was a need for something more personal, exceptional and client driven than what was available in the Byron Bay Shire. There was a gap that needed to be filled, a bridge that could transcend across all tastes and budgets. Honoring to create beautiful atmospheres for all that walked through our Showroom doors. We treat your space like a blank canvas just waiting to be a work of art, after all everybody deserves a masterpiece. Tile and Stone Gallery was founded in 2003, and has been under the current Management since 2006. We are proud to be an Independent, Family owned and operated Business (not part of a Franchise group). Our excellent Reputation is based on running our Business with honesty, integrity, passion and a willingness to help. We provide great, professional Service, reduced Prices, prompt Deliveries, free measuring of Plans, and no-obligation Quotations. Tile and Stone Gallery is well known for providing an Extensive range of Products from around the World, many exclusive to us in Queensland. We have a discerning eye for new Trends, resulting in the latest Innovative selections, so you can always find something Different. We continually search the Market to be able to display the unusual with the usual, to satisfy the Individual needs of our Customers. And we cater for all Budgets and Tastes, even the DIY Renovator who is looking for Inexpensive but timeless options. Head down to Tile and Stone Gallery & be inspired by our clean and fresh, up-market Showroom. Situated just past Harbour Town Shopping Centre (towards the Broadwater), 1 block back from Coles, opposite Treasure Island Caravan Park. Our friendly, experienced & qualified Staff will be there to assist you as much, or as little, as you require. Supply, measure, quote, install natural stone tiles, feature walling, internal & external stone applications. Concrete Nation specialises in making polished concrete kitchen bench tops, outdoor BBQ benchtops, bathroom vanities, vessel sinks, bathtubs, fireplace surrounds, furniture and much more using glass fibre reinforced concrete (GFRC). If you can dream it we can create it! The possibilities are limitless with concrete! Everything is hand made in our Burleigh Heads, Gold Coast workshop and delivered to you. Check out our gallery to see some of the many options available for concrete bench tops, vanities, furniture, bathtubs, and more! Here at The Marble Man we Specialise in Polishing, Sealing, Repairs and Cleaning to all stone surfaces. The Marble Man has been operating for over 22 years with a wealth of knowledge to help any project. We aim is to leave a positive lasting impression in every clients mind. Call us today to discuss your next stone restoration of sealing project. Renovating or Building? 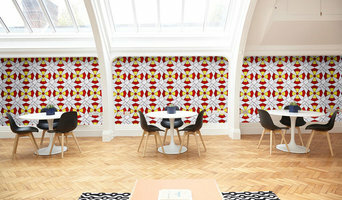 Casa Bela Tiles is your virtual tile shop. With a passion for design and a commitment to customer service, Casa Bela supplies quality products for both the commercial and residential sectors. Whether you are building or renovating, we encourage you to get in touch with one of our tile advisors. As creative businesses continue to strive for that unique point of difference in their design projects, I’d like to recommend to you the use of natural stone to ensure continued satisfaction among your clients. Our company, Neo Rox is an established leader in the importation of a diverse range of innovative natural stone products and solutions, as the company of choice among a broad base of architects, builders and designers Australia-wide. The past decade has seen us redefine the parameters of excellence; delivering ideal solutions for indoor and outdoor living and entertainment spaces, with a guaranteed ‘wow’ factor that’s sure to please. Our specialists are dedicated to finding the right solution for your special project. Some of our more popularly requested products include Random Free Form Walling, Random Interlocking Panels, Stone Panelling, Tumbled Granite Cobbles, Random Stone Mats, Limestone Pavers, Capping, Stepping Stones, Pebbles and Glass Mosaic Tiles. 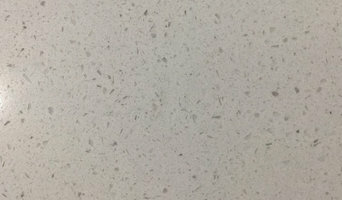 For a more specific point of difference we also deal in Granite, Marbelized Limestone, Basalt/Bluestone, Brazilian Quartzite, Egyptian Sinai Pearl and Travertine among other unique-finish products. Whatever your requirements we will deliver on time and within budget. Established in 2003 by Paul Stigwood, Neo Rox has provided award-winning, value-added solutions for numerous private and commercial enterprises. From our base on the Gold Coast, Neo Rox can supply its vast, always evolving product range to homeowners and designers anywhere in Australia. 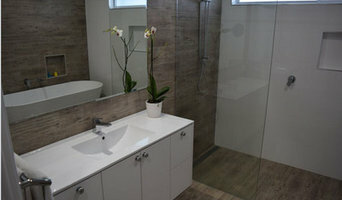 Many tile, stone and benchtop contractors in Tweed Heads West, New South Wales work in tandem with plumbers in the bathroom. They can assist in a variety of common surfacing jobs, from installing shower pans to small grouting jobs. Furthermore, they can create and install murals, mosaics, and repair or replace any surfaces with chips, cracks or stains. Here are some related professionals and vendors to complement the work of tile, stone & benchtops: Interior Designers & Decorators, Architects, Building Project Managers, Kitchen & Bathroom Designers, Design & Construction Firms. Find Tweed Heads West, New South Wales wall and floor tilers on Houzz. 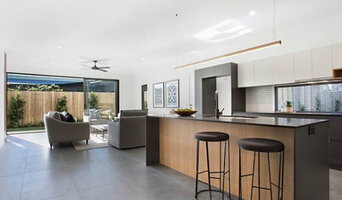 Look through Tweed Heads West, New South Wales photos to find tile, stone and benchtop projects you like, then contact the contractor who worked on it. Browsing photos will also help you stay on top of the latest trends; subway tiles, for example, are trending in kitchen splashbacks, while stone and concrete benchtops are replacing tile or formica surfaces.